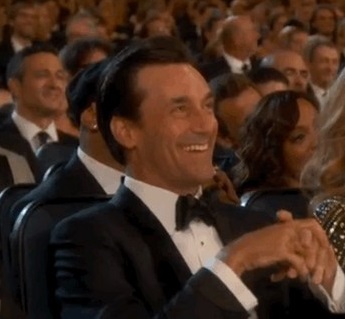 There's no denying Jon Hamm has great hair- and at the 2015 Emmys- he and his hair- looked as dapper as ever. Celebrity stylist Diana Schmidtke who styled Jon for the Emmys' divulges her secret to achieving his Emmy night hair- Mister Pompadour's Peppermint Pomade. The water-based pomade is made for hairstyles that demand a balance of medium hold with a touch of high shine. The sweet scent of peppermint accompanies the performance and provides a pleasant aroma. Made from all natural ingredients and without parabens or sodium chloride. Aloe Leaf juice saturated with essential vitamins and minerals that help heal scalp, add sheen, luster and shine while fighting frizz and restoring hair to proper health. Panthenol - Form of Vitamin B5 that penetrates through the cuticle of the hair and acts as a powerful humectant that helps hair maintain moisture, leaving it more pliable, shinier, stronger and thicker. Hydrolyzed Soy Protein - Hair conditioning, strengthening, and repairing. To get the look according to his stylist Diana Schmidtke: Start with wet hair. Using a blowdryer, blow dry the hair up and away from the face with your finger tips to create natural volume in the front. In the back, direct the airflow from the blow dryer downward to lay the hair flat. On the sides, direct the airflow from front to back on both sides to lay the side hairs flat. 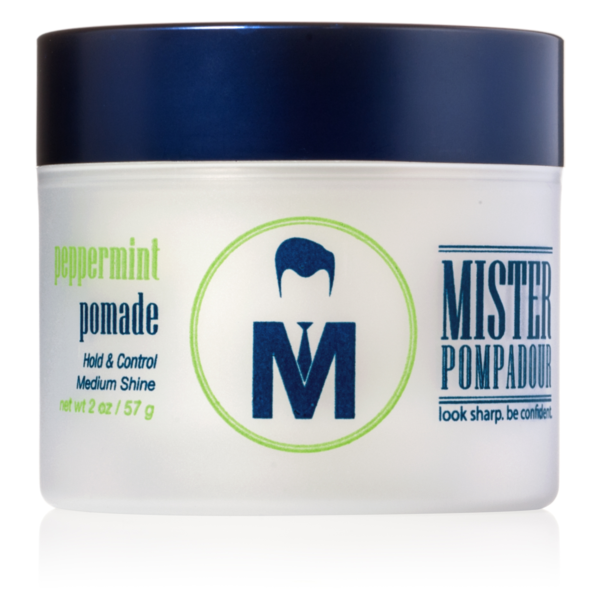 Upon completion of blow-drying your hair completely dry, take a nickel size amount ofMister Pompadour's Peppermint Pomade. Be sure to distribute the product evenly through your palms and fingertips. Starting in the front, fingers spread apart and slightly in the shape of a "claw" move your fingertips from front to back separating the hair giving it a natural appearance. Finish with a light dusting of hair spray to keep your style perfect all night.